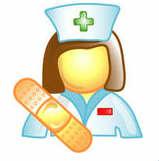 Community mental health nursing programs are usually between 36 and 48 credit hours in length. This can be done part time and often even online. Once completed, students can register as advanced practice nurses. In order to take part in a master’s degree, students must already have a bachelor’s degree and be a licensed RN. Most universities will require a personal statement and at least three letters of recommendation, as well as GRE scores and a good average GPA. During the program, students will be introduced to research methods, nursing foundations, disease prevention and health promotion. Furthermore, they will learn about policy and professional issues, epidemiology principles, health assessment, management principles and practices and health promotion. Many Online MPH Masters in Public health options are available. According to the U.S. Bureau of Labor Statistics (BLS), the employment prospects for RNs is very good. Indeed, there is an estimated growth rate of 19% until 2022, which is well above the national average. This is in part due to the fact that there will be an increasingly aging population and because there will be more demand for preventative care. The median salary for RNs according to the BLS is $66,220. Once students complete their master’s degree, they will be able to take the certification exam through the ANCC (American Nurses Credentialing Center). This is a 10 part exam that covers topics specific to community nursing. Capella University is an online university, meaning you can complete your master’s around other commitments. The university is accredited with the Higher Learning Commission, which is nationally recognized. They also have accreditation through the Commission on Collegiate Nursing Education (CCNE). Tuition for the full degree currently stands at $21,000, which is slightly below the national average. Furthermore, they offer discounts for military personnel. Capella has a strong focus on health care education and they have teamed up with various healthcare settings, including hospitals and care homes, in order to help students enter the workplace. At Southern New Hampshire University, the master’s degree in community nursing can also be obtained online. They have partnered with nursing partners to allow students to accelerate their degree pathway. The program is CCNE accredited, as well as having accreditation through various other partners. The focus for this university is on pursuing excellent patient care, creating holistic care packages for members of the community. Tuition fees depend on the pathway that is chosen and whether students complete the degree online or on campus. Walden University offers a range of community health nursing degree options, many of which can be achieved online including the MPH degree. Their focus is on developing true industry leaders, who are strong communicators and policy developers. They also ensure students are supported to grow in their field by encouraging them to move on to a Ph.D. after completing their master’s. The program takes 64 credits to complete and costs $29,440. However, with maximum transfer credits this is reduced to $14,720. The program offered by the CalUniversity teaches students to better understand the relationship between health and social backgrounds. Students will work specifically with under served communities and at risk populations, working with them in disease prevention and helping them to maintain excellent health. Grand Canyon University is CCNE accredited, allowing students to sit their licensure examination upon completion. The focus is on the theories of public health and how these can be applied to real life situations. A strong focus is place on disparities between various communities, and students will learn how to develop policies that promote health equality across different communities. Tuition varies depending on the pathway a student chooses. Discounts are offered to military personnel.